Tai Chi Destiny Sword | BUDK.com - Knives & Swords At The Lowest Prices! 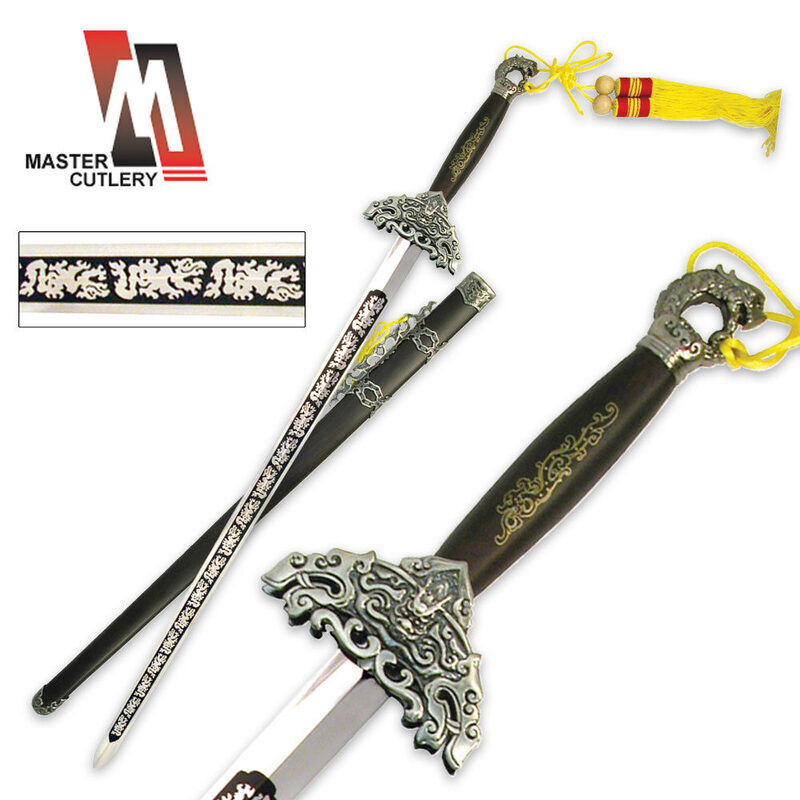 Let the martial artist within loose every time you pick up this stunning Tai Chi Destiny sword. It features tons of exquisite details, including intricate blade etchings and a decorative guard and pommel. The metal fittings and parts add authenticity and the perfect amount of zing to the design of this Tai Chi sword. Any ninja would be proud to wield it! Includes a matching scabbard.